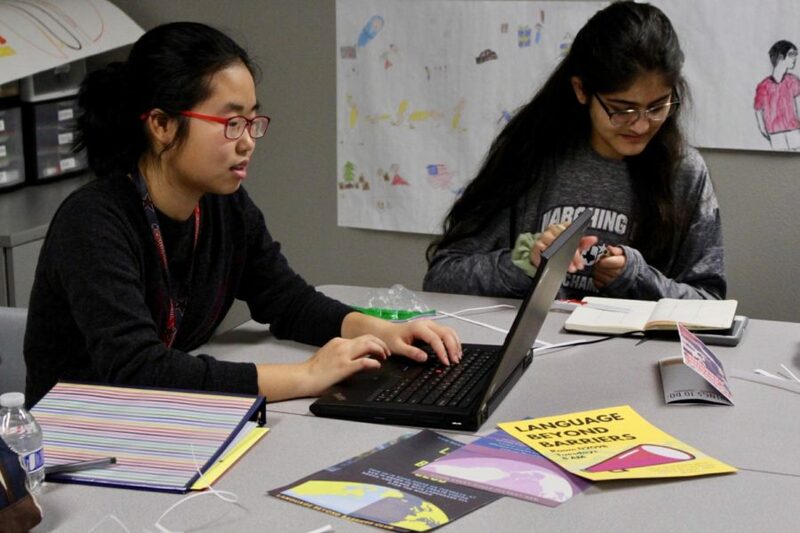 Coppell High School sophomore Language Beyond Barriers club president Lily Lee and sophomore Illina Jayal write stories together with their group before school on Jan. 23 in CHS ESL teacher and club sponsor Shauna Carter’s classroom. The Language Beyond Barriers club is working on writing stories as a group project to create a book for elementary ESL students, the club meets before school every other Tuesday in room D209. 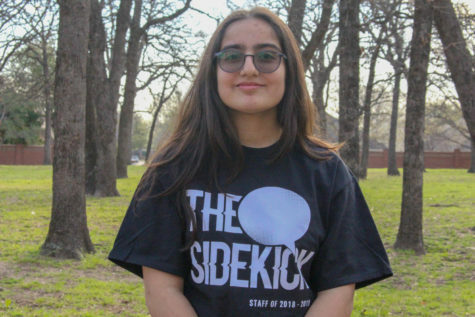 With many cultures present in Coppell High School, one student decided to make a club that showcases this diversity. CHS sophomore Lily Lee created Language Beyond Barriers club, where ESL students can communicate with other students their age who speak the same language as them to help them learn English. The club does many projects, with every student having one of four roles: culture ambassador, language ambassador, English tutor and English companion. Currently, the club is working on writing stories for elementary students in ESL, in addition to mini individual projects according to their roles. This club will not only bring together many students but will also be a learning opportunity with the club’s diverse culture. 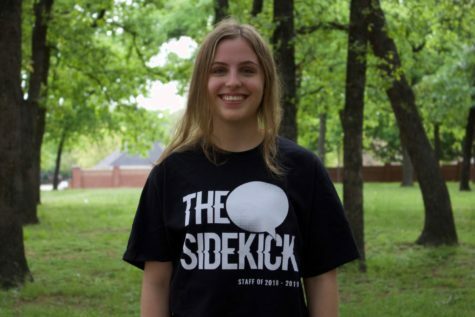 Sophomore club member Fiona Lopez thinks the club is beneficial for the student body. The club consists of roughly 15 students, some of which know more than one languages to teach others. This club puts forth the effort to bring students in CHS together, no matter their cultural differences. The club meets every other Tuesday at 8 a.m. in D209B.